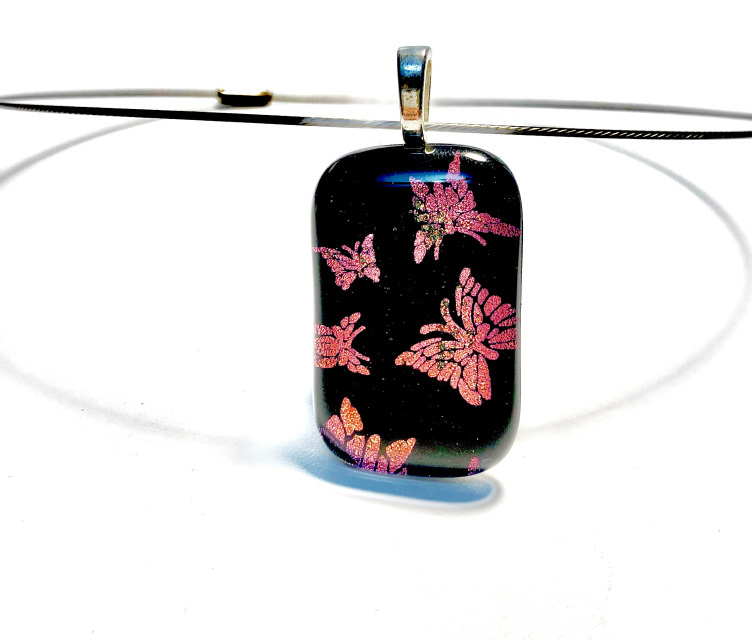 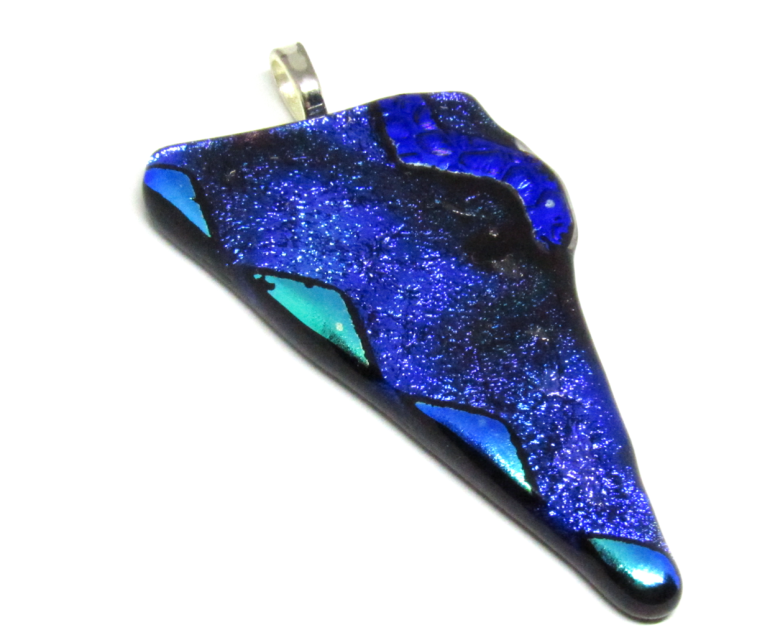 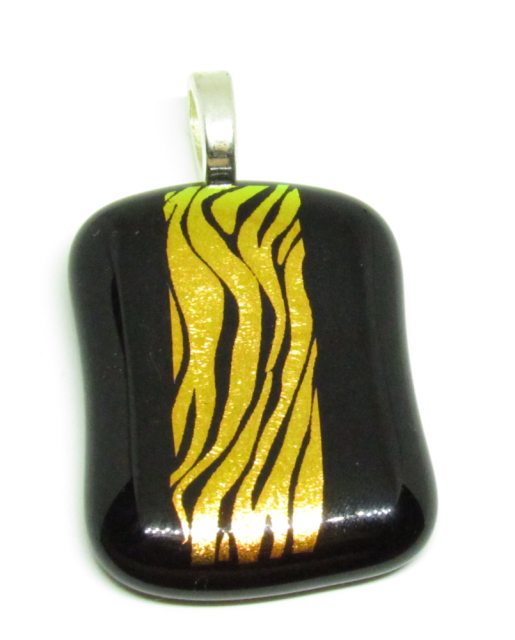 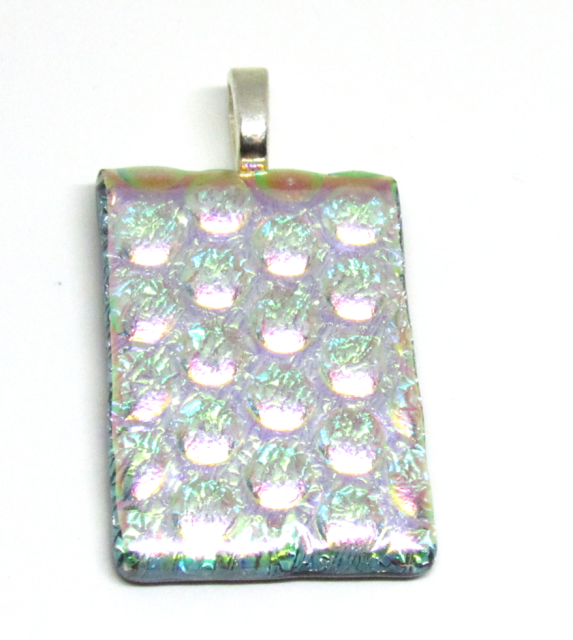 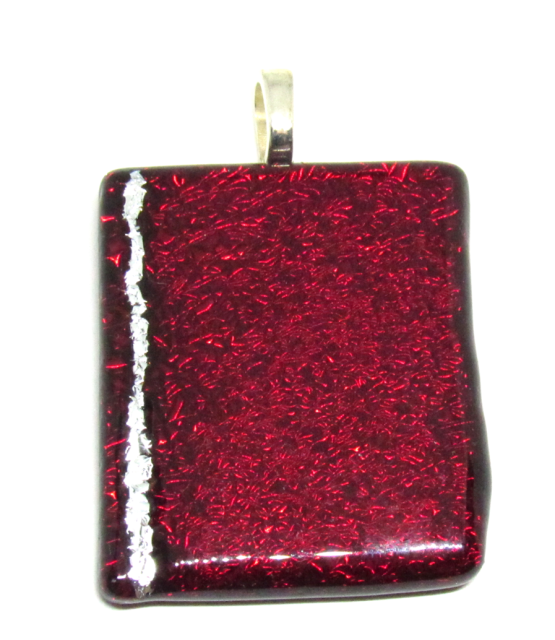 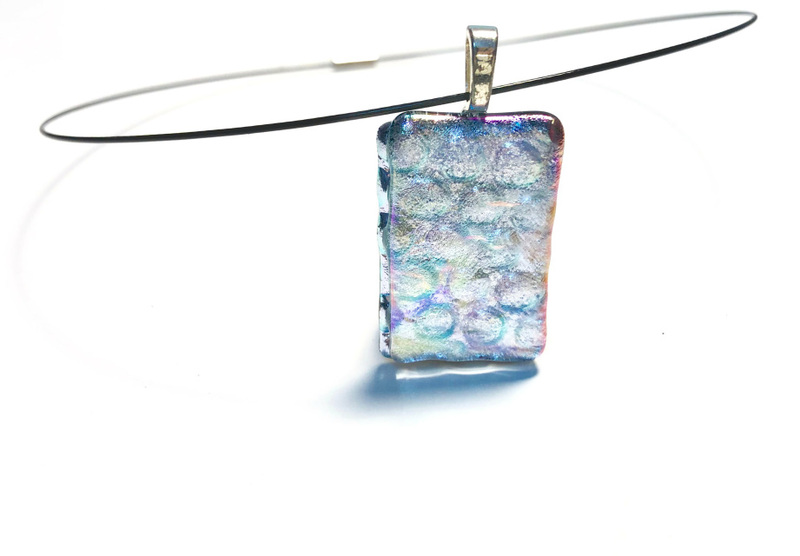 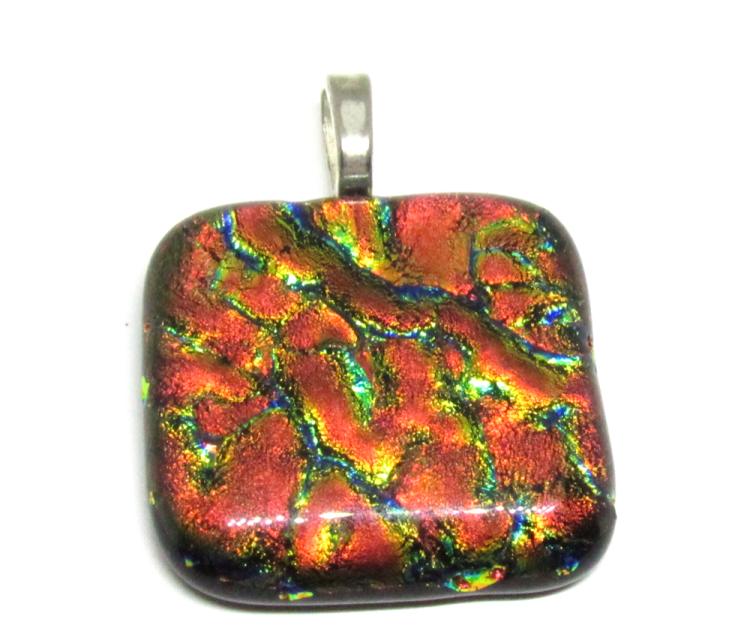 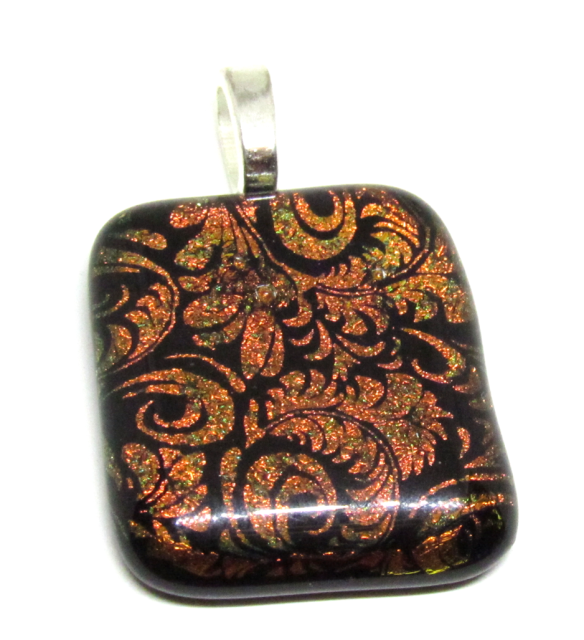 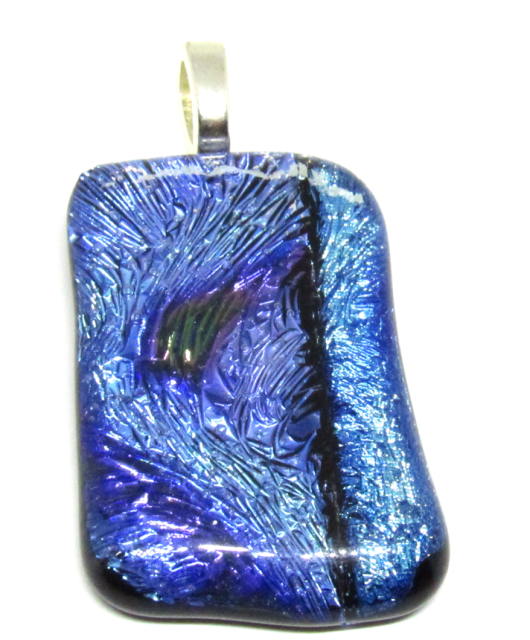 Help support breast cancer awareness by wearing this glass pendant. 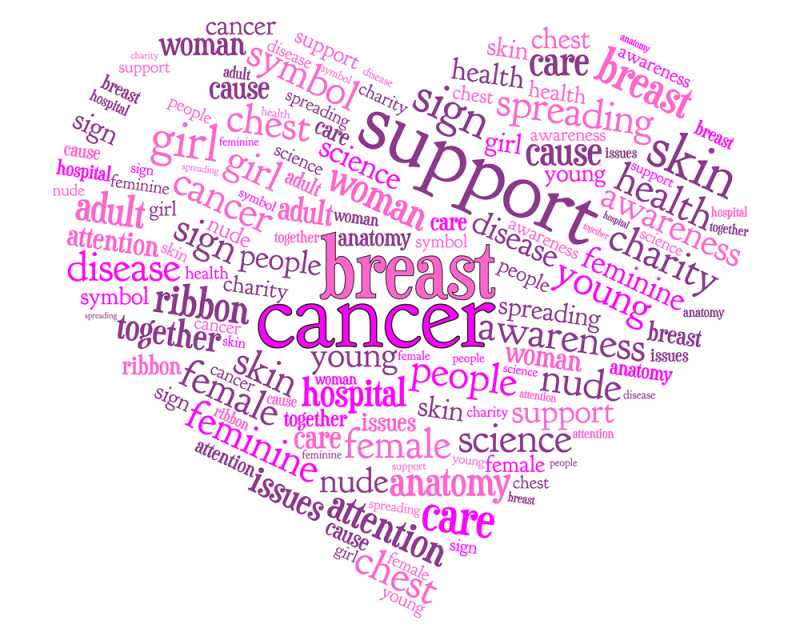 10% of all sales will be donated to the Breast Cancer Research Foundation, with a mission to prevent and cure breast cancer by advancing the world's most promising research. 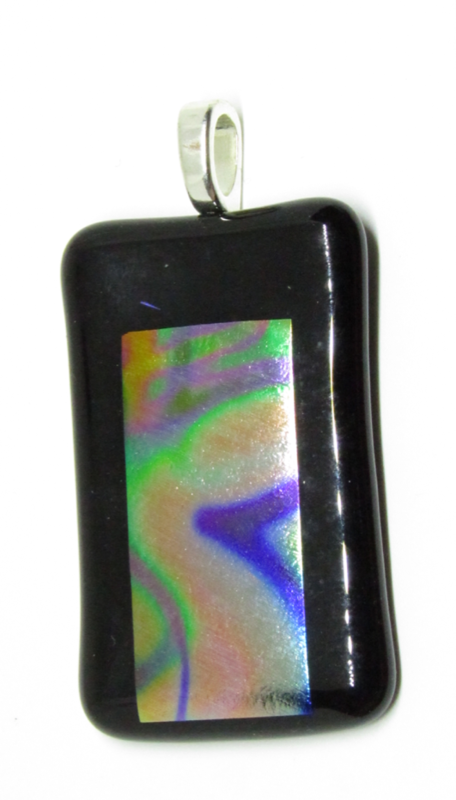 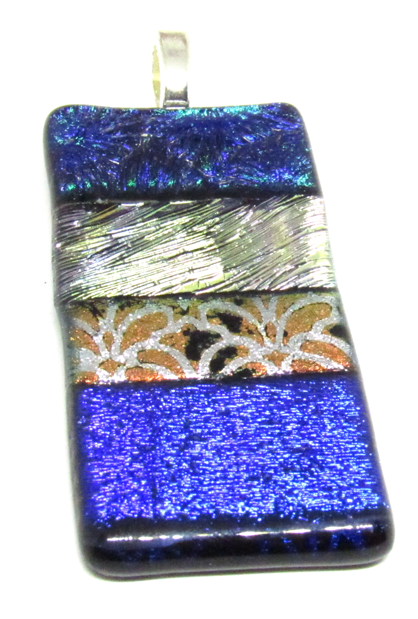 These durable, etched crystal glass files are from the Czech Republic and adorned with my own design in dichroic glass.